Working as a reseller of security equipment is a profitable endeavor in today’s market. Consumers are beginning to realize the importance of installing security systems in their homes and businesses, a trend that has created a demand for these products throughout the nation. Before you can start selling security equipment, however, you must ensure that you have a trustworthy and reliable distributor. A sturdy working relationship will not only provide you with the equipment you need to run your business, but will create a lucrative opportunity for you to profit from, all while keeping the lives and homes of your customers safe. Is the Residential Equipment That You Need Available? Selling residential equipment is a great way to make a profit as a security equipment reseller, so make sure that the distributor you are working with offers equipment that people will want to purchase. For example, most people won’t want to buy digital video recorders that have 32 channels; they will want smaller units with only 4 or 8 channels. They will also be looking for features that makes home security easier and more effective, while still being affordable. Residential customers won’t want to spend a fortune on equipment, especially if you are targeting consumers in the middle class. 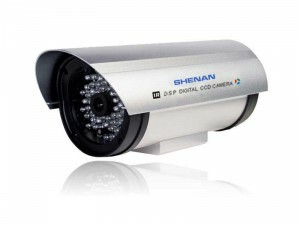 Does the Distributor Offer Commercial-Grade Security Equipment for You to Purchase? Some of your larger paying jobs will be selling security equipment to business owners. In order to protect their businesses from theft, shoplifting, etc., make sure you have the proper items in stock. Digital video recorders that hook up to multiple cameras at once will be a very popular product, since it will help cut down on shoplifting, employee theft, and other common issues that business owners deal with. Is the Equipment of the Highest Possible Quality? Selling sub-par equipment will give your business a bad reputation, so it is important to offer security equipment of the highest possible quality. This begins with having a reliable distributor who will sell you the best equipment on the market. Selling the best equipment will also maintain a low rate of return from your customers, keeping your profits high and your business booming. When considering which distributor you should use, perform thorough research before-hand to ensure you are getting the best quality and best value available. Look for brand names you recognize and trust, and explore the internet for reviews from previous customers. It’s also a good idea to look for a distributor who offers a warranty on the security products they sell, helping guarantee the quality of your supplies. Is There a Variety of Equipment Available? All of your customers aren’t created equal, and they will have a wide range of products and services they need. You can’t pitch the same system to all of your different customers; if you do, your customers won’t be very pleased with their purchases, and your sales will suffer. Therefore, you need to offer a wide variety of products. This includes offering different types of security equipment, as well as different price ranges for customers who are on smaller or larger budgets. By catering to a wide range of customers, your reselling efforts will successfully build your business. Can You Afford the Security Equipment That is Offered? If you don’t have much to spend or are just getting your business started, stocking up on the equipment that you need to run your business could be difficult. Therefore, you want to be sure that you can afford to place your order; if not, you may want to cut back on some of the products you are buying to make things more affordable. Can You Get a Discount for Bulk Purchases? One of the benefits of being a security equipment reseller is that you can get bulk pricing for purchasing lots of different items at a time. You should find out if your distributor will cut you a deal for buying large quantities of security products at once, dramatically cutting your spending. Are the Prices on this Equipment Competitive? Often times, your customers will want to shop around and do research before making a purchase. If the prices of the equipment you’re selling aren’t competitive, chances are good that potential customers will go elsewhere. Likewise, you don’t want to spend more on equipment from one distributor you could get for a lower price from another. Take your time assessing various products and their prices, and look for comparable prices from other companies. Although you might not be able to snag the lowest price on everything, you should only work with a company that offers products at a reasonable, competitive price. Do You Like the Equipment? Since you will be putting your company’s name on the products you’re selling, you only want to sell products you are proud to offer. You will find that selling your products will be much easier if you actually like them. It is easy to sell customers on a product that you actually trust and believe in. If you don’t like the product, there’s a good chance your customers won’t either; only sell equipment you would be willing to use yourself. Can You Make a Profit Off of the Equipment? As with any business, your goal is to make a profit; as a reseller, that goal is accomplished through effective mediation between your distributor and your clients. To make a profit, you need to offer affordable, in-demand products that your clients need, while purchasing them from the distributor at a low enough cost to ensure your business stays in the black. Make sure you thoroughly plan and detail your business model before investing large amounts of time and money in the endeavor. This will help to capitalize your opportunities, and prevent you from being left with a stock of unwanted security equipment.